It’s that time of year everyone! Blow the dust off of your Christmas decorations, go out and buy a tree, maybe hang up some mistletoe and warm the oven to bake cookies because the Holiday season is here! Along with all these joyous traditions, is another incredible tradition (for us) and that is visiting our favorite cartoon Beagle for Christmas. 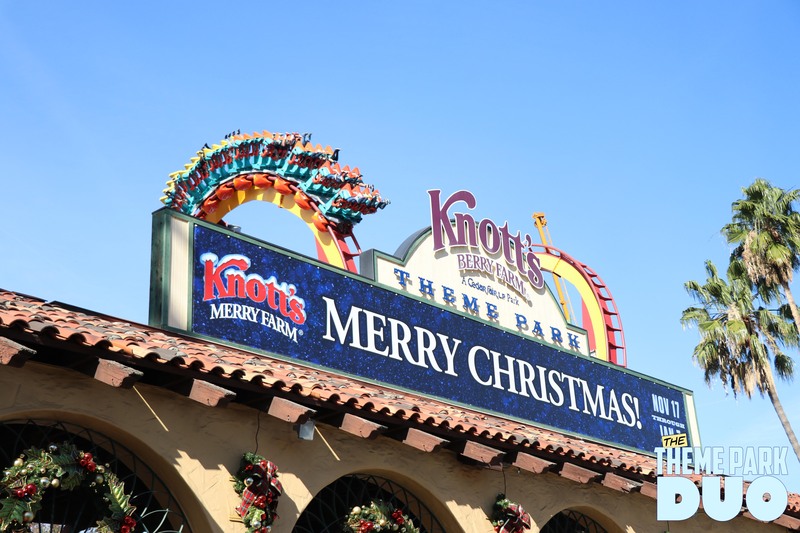 Knott’s Merry Farm is here once again to help the people of Southern California feel the wonderful warmth and joy that is Christmas. 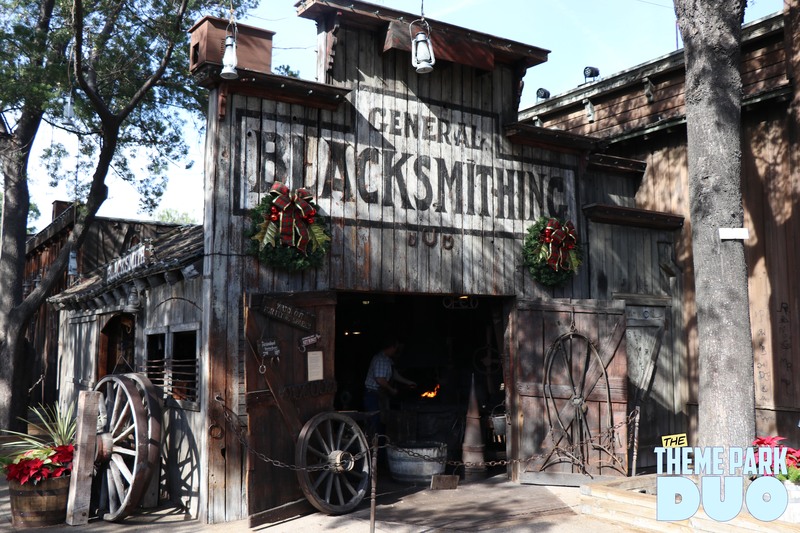 Although similar to years past, Knott’s continues to give unique and quality family entertainment for the season. 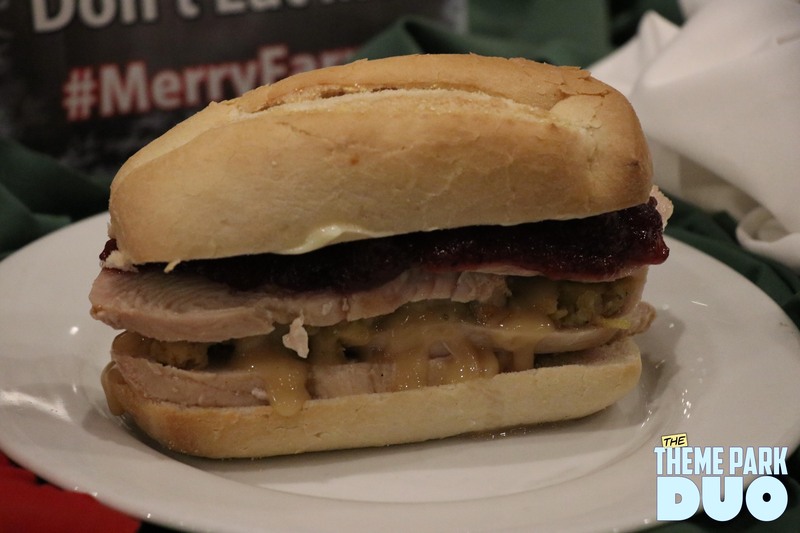 As with any Knott’s event, food has become a very important focal point and Merry Farm is no different. 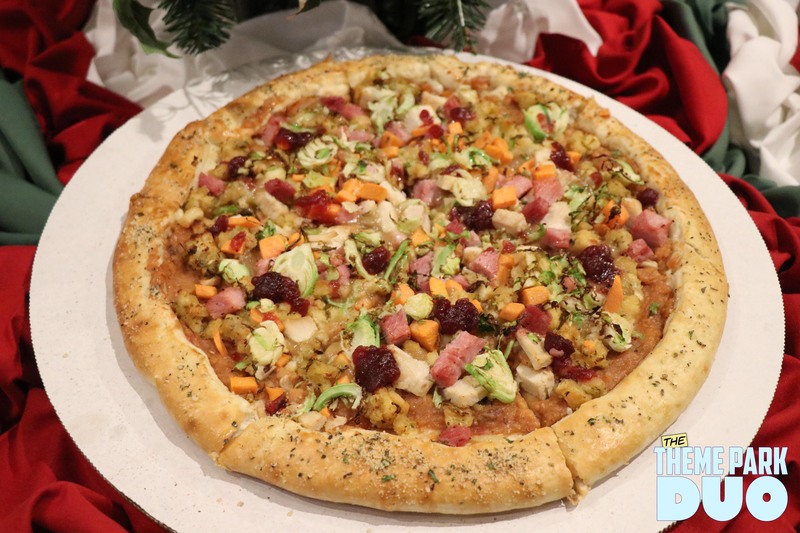 Anything from Holiday Pizza to spiked hot chocolate, Knott’s has so many food offerings it will make your head spin and your stomach growl. 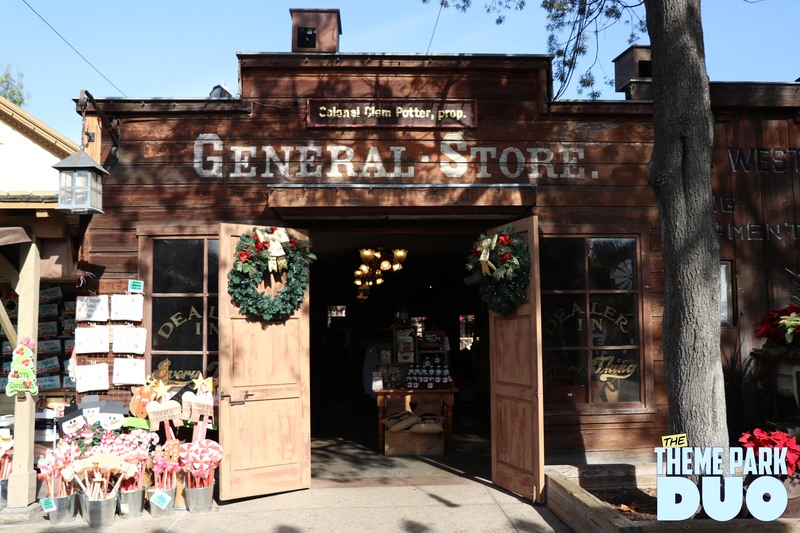 Relax and unwind in Knott’s Christmas Crafts Village, as Ghost Town transforms into a shopping wonderland filled with dozens of local artisans selling their unique gifts. 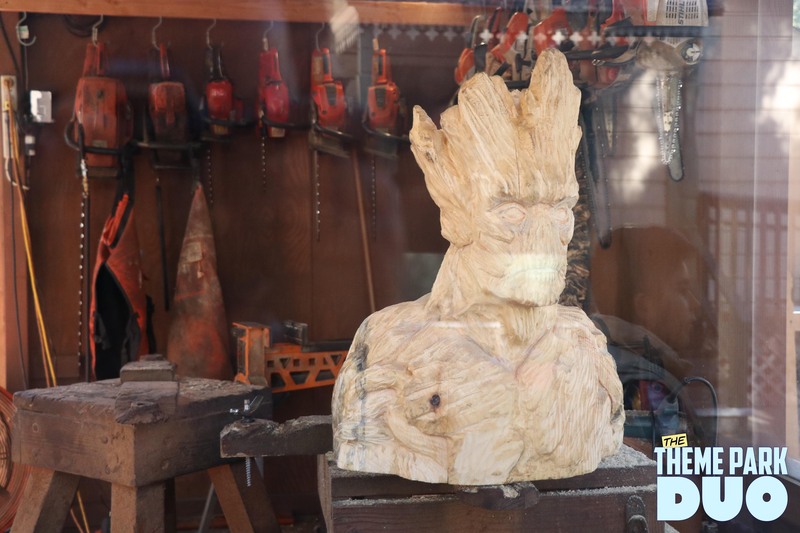 Can’t-miss highlights of the Village include artist demonstrations of chainsaw wood carving and elegant glass blowing. 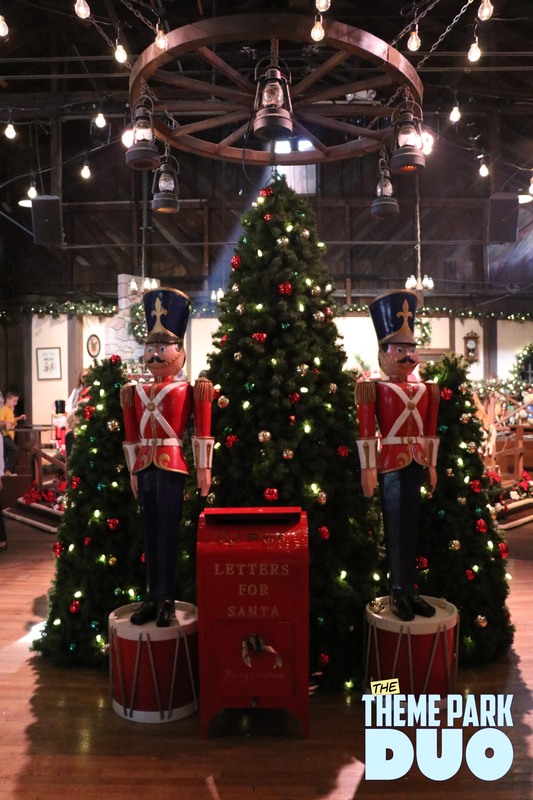 Entrance to the Knott’s Christmas Crafts Village is free from November 27 – 30 and December 4 – 7. Admission to the park is required all other days. The crafts village in Ghost Town is incredibly quaint. The instrumental country style Christmas music is the perfect background ambiance for a stroll around all of the different specialty booths. From scented oils, aprons, candy and even wood carvings; you are bound to find something perfect as a gift or even a stocking stuffer for family and friends. 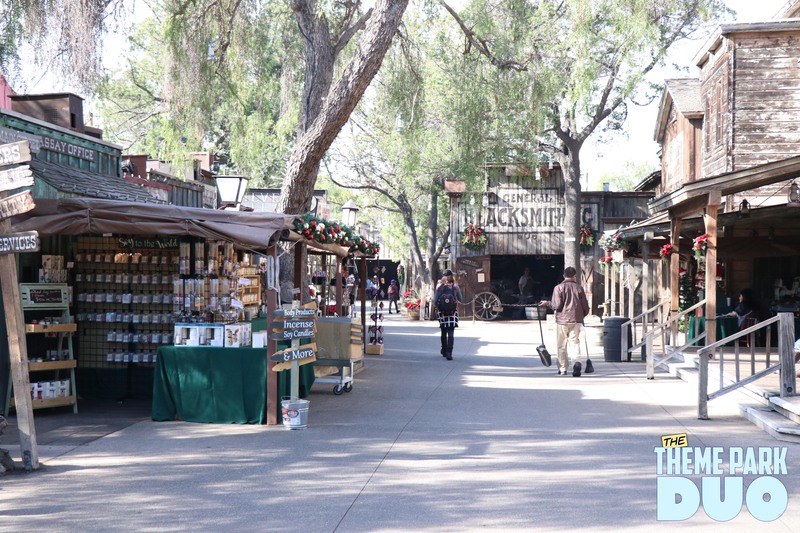 It’s hard to mention The Crafts Village without talking about the ambiance of Ghost Town itself. Although not spooky cobwebs, it’s wonderful to see the aging buildings of Ghost Town adorned with wreaths, garland and mistletoe. 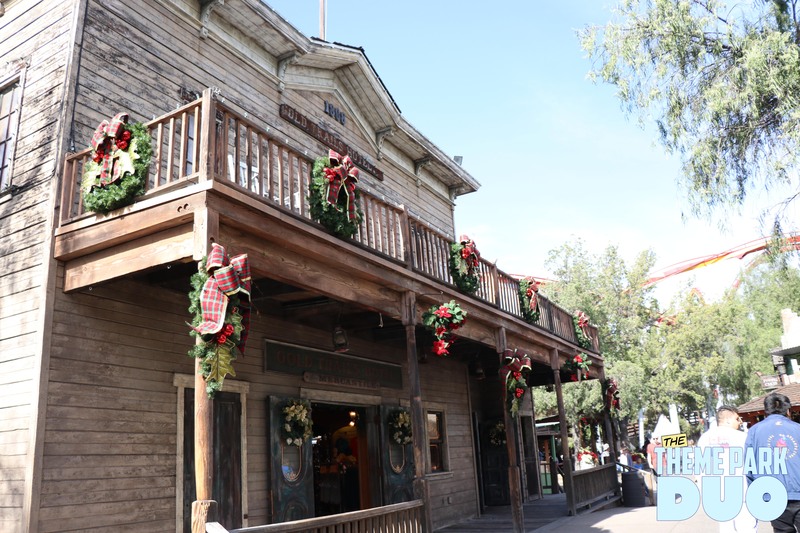 It’s our favorite time of year when the Wilderness Dance Hall in Ghost Town joyously transforms into Santa’s Christmas Cabin for the holiday season. 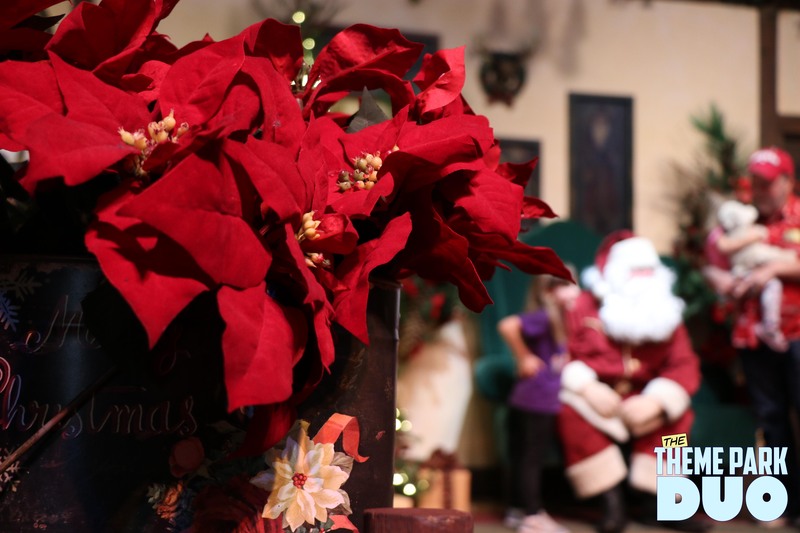 Create fond new memories with the entire family by visiting the jolly fellow himself, Santa Claus. Santa is sure to delight the young and young at heart. Send your season greetings to family and loved ones with special picture of the occasion, pictures can be purchased onsite. 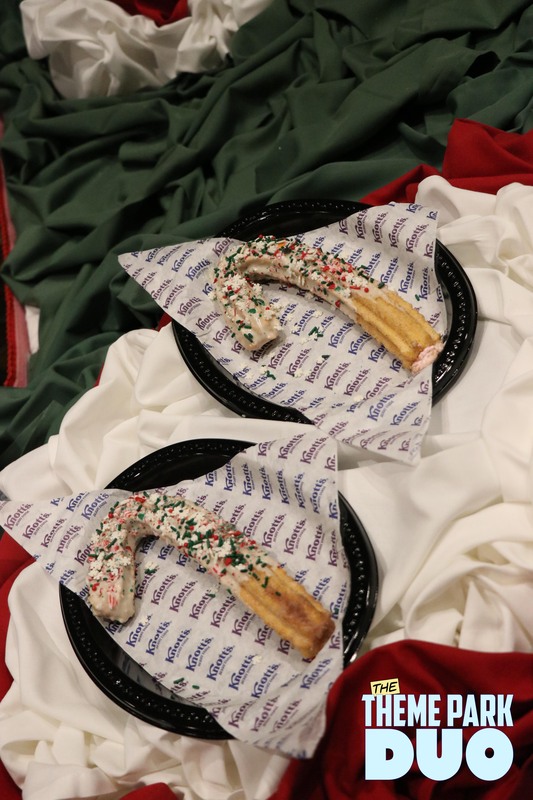 Indulge in one-of-kind seasonal treats like Santa’s freshly-baked cookies, mouthwatering pastries, exquisite chocolate dipped cheesecake on a stick, seasonal craft beers, gourmet hot chocolate with marshmallows and hot spiced holiday wine, plus much more. It wouldn’t be Christmas without an appearance by the big man himself, Santa Claus! 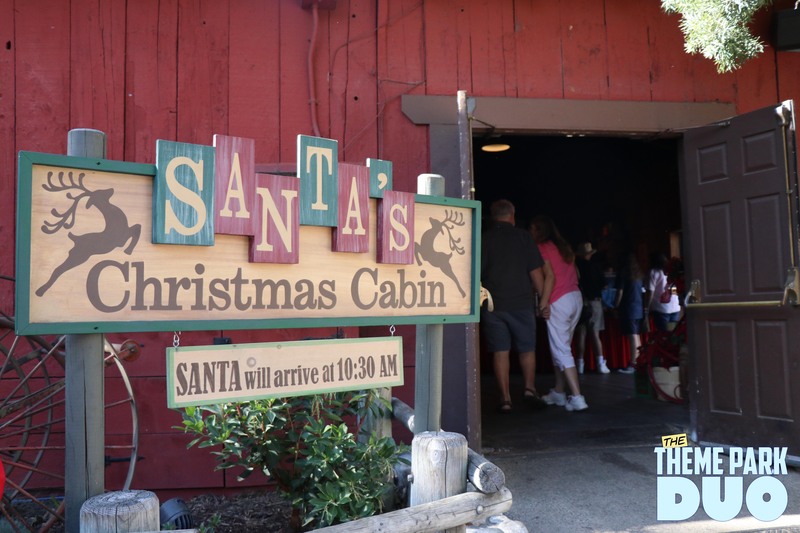 Inside Santa’s Christmas Cabin (other than Santa himself) are so many delectable treats to enjoy while you soak up the Holiday warmth and cheer. 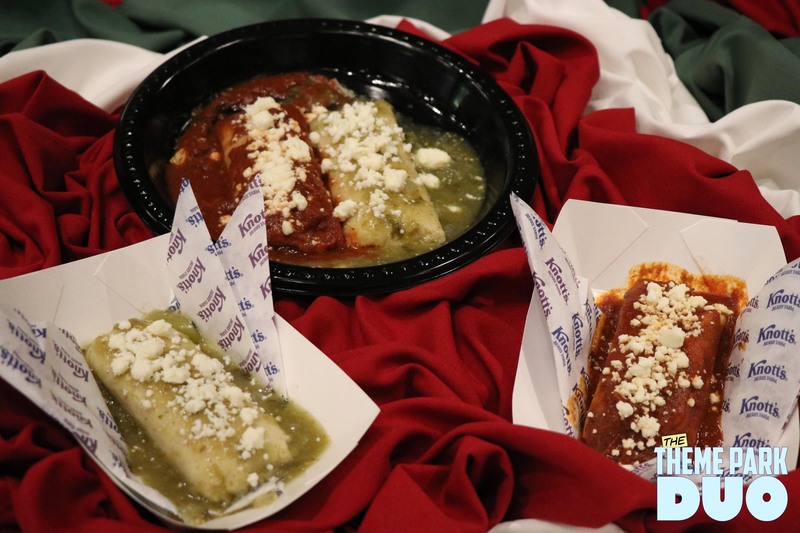 The tamales really made me happy because it’s really hard to beat Abuelita’s tamales but these came ever so close. It was a nice treat to make me feel at home when at a theme park. 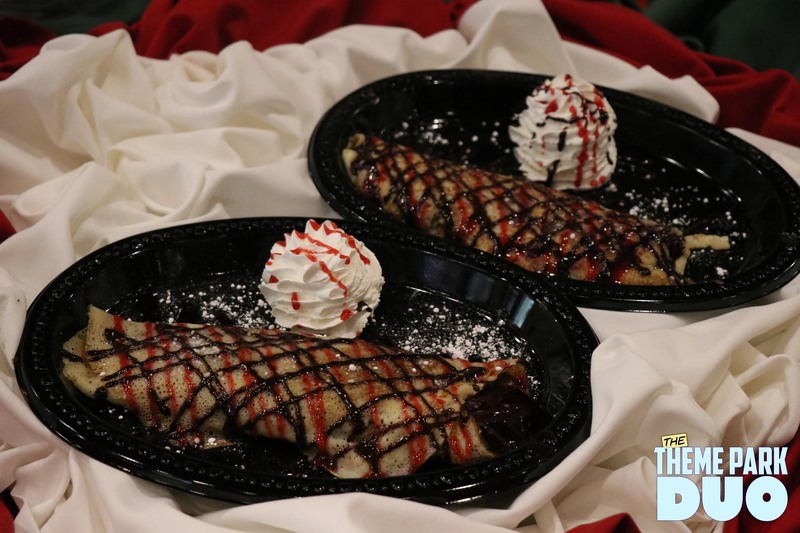 One thing we loved from last year was the spiked coffee and hot chocolate. Mrs. Claus is back in the North Pole managing the elves as they get ready to deliver toys to all the good boys and girls. She has left her trusty bakers in charge at Mrs. Claus’ Kitchen. 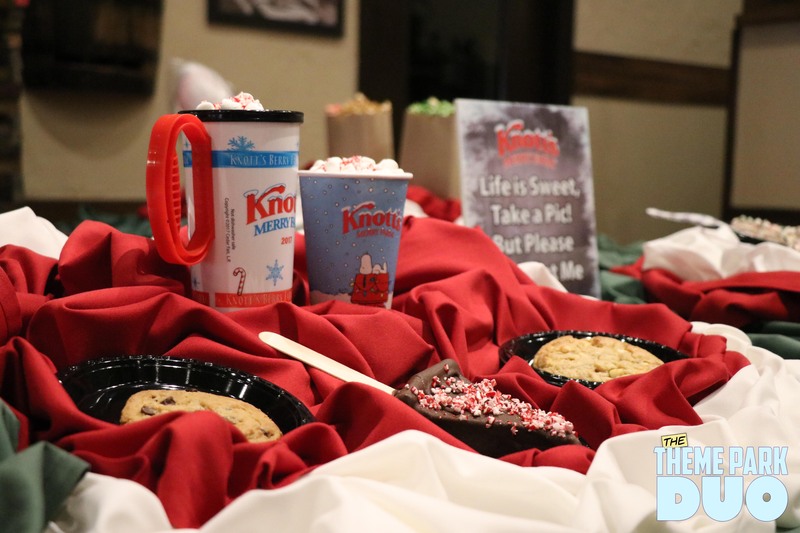 Kids can help decorate one of Mrs. Claus’ delicious cookies for a small nominal fee and bring home their delicious creation. 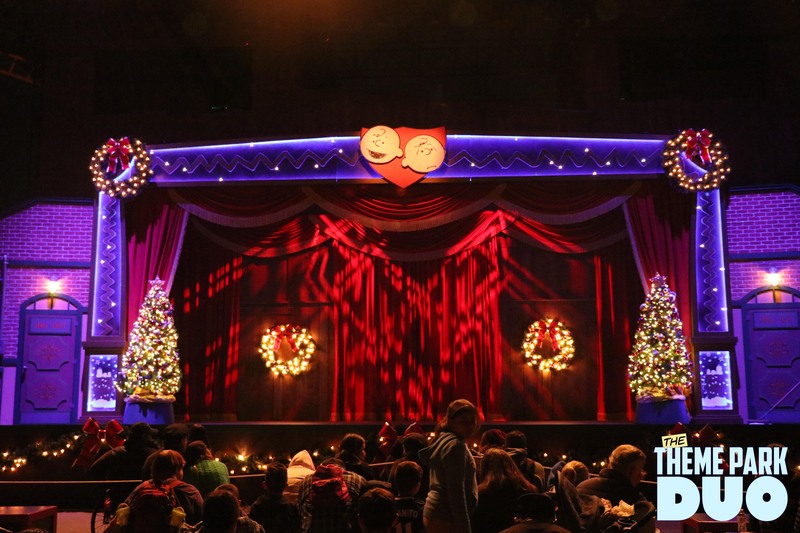 The holiday season celebration continues at the Camp Snoopy Theatre, with the show “A Peanuts Guide to Christmas”. The Peanuts give their take and unique wisdom in a primer designed to help everyone survive the holidays. 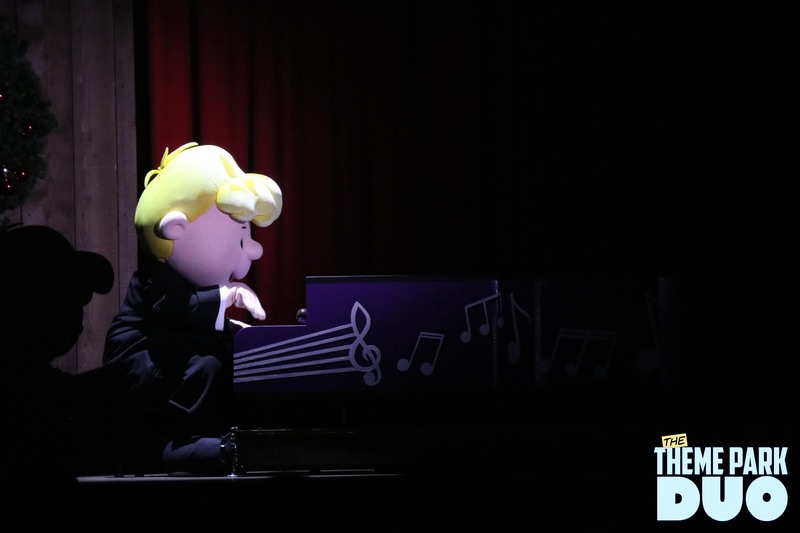 The show features delightful mash-ups of holiday songs with a cheerful and heartwarming dose of the Peanuts gang. After the show, head right next door to the Peanuts Meet and Greet Area to take a picture with your favorite character. 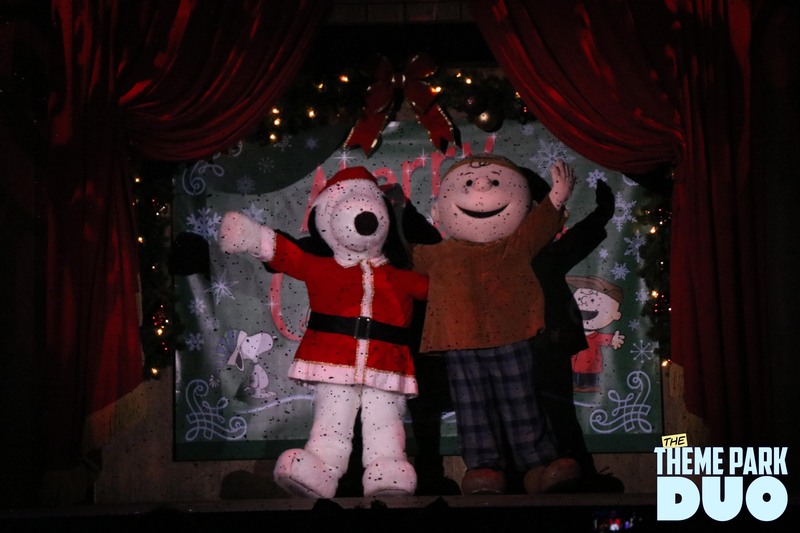 SNOOPY ICE SHOW: MERRY CHRISTMAS, SNOOPY! 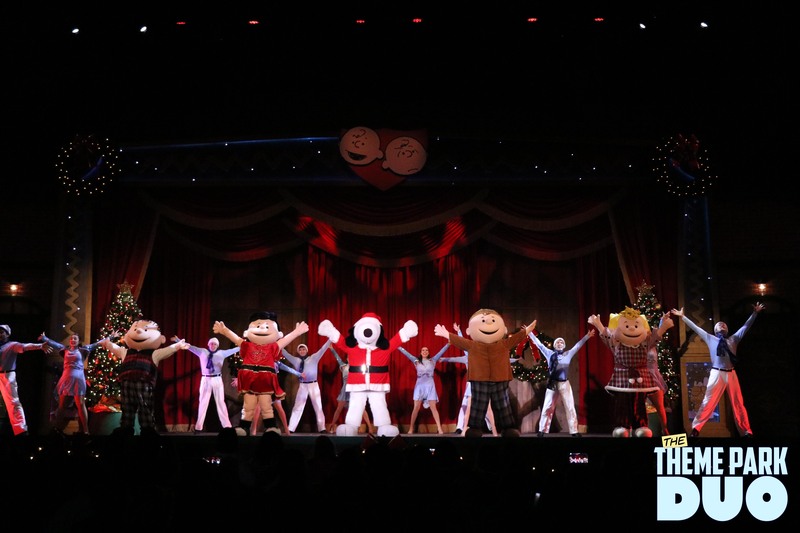 Snoopy, the Peanuts, and a cast of world-class ice skaters perform in the spectacular ice show, “Merry Christmas, Snoopy!” in the Charles M. Schulz Theatre. During the show, filled with whimsy and spectacular skating, Snoopy enjoys all of the best parts of the season, including trimming the Christmas tree, awaiting Santa’s arrival, and attending the festive Christmas Ball! 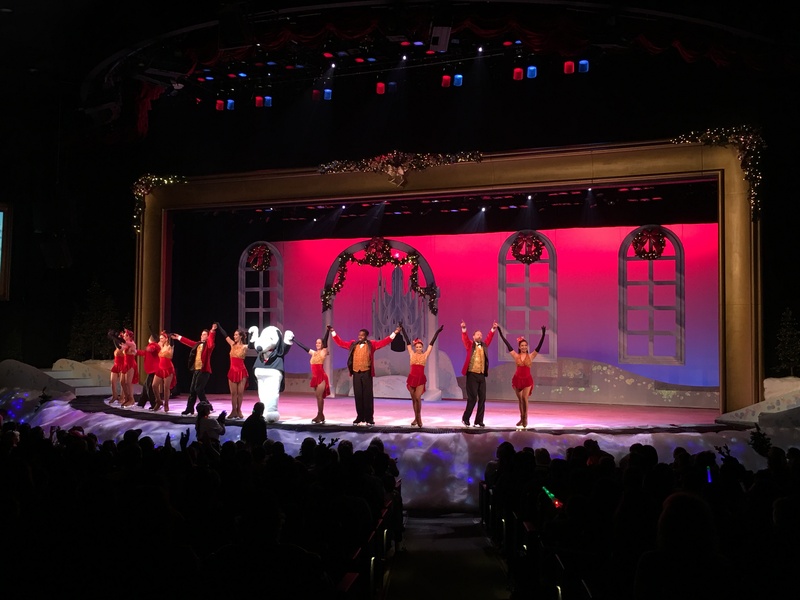 The most unique entertainment offering at Merry Farm, the Snoopy Ice show allows for a brief rest from the rigors of theme parks. 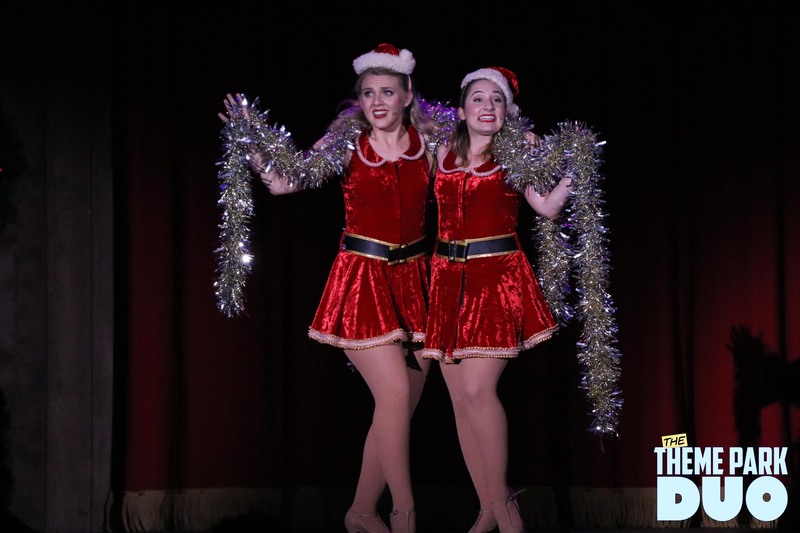 Wonderfully choreographed, filled with Holiday spirit, the show will most definitely entertain and delight guests of all ages. We also loved the cartoon moments in between segments because it reminded us of our childhood watching Peanut cartoons. 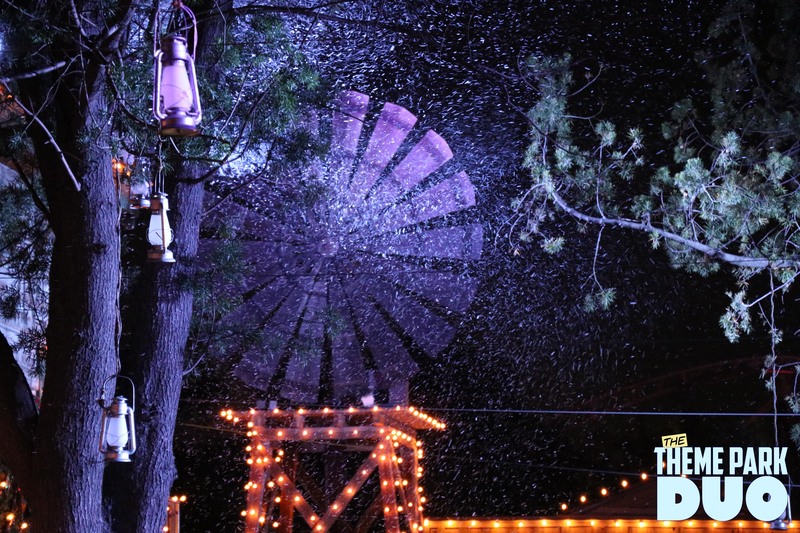 Overall, if you were to see anything at Merry Farm, make sure it’s this! 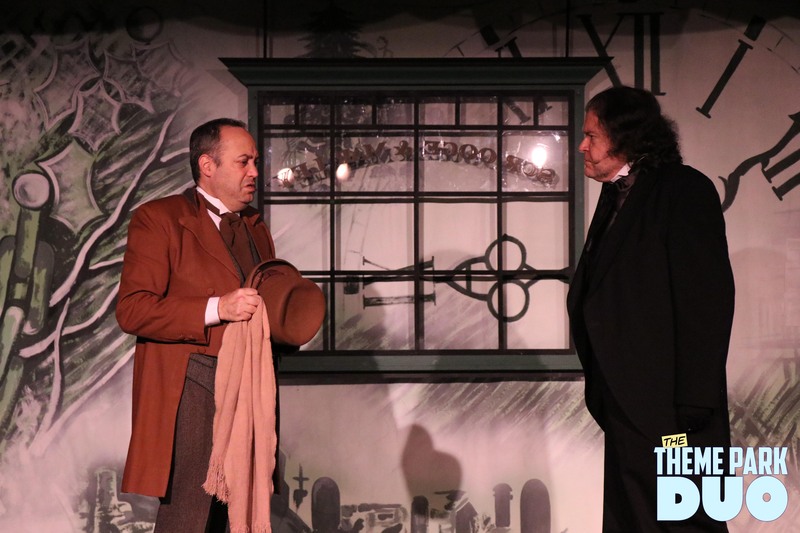 In the intimate setting of Ghost Town’s historic Bird Cage Theatre, Knott’s melodrama company brings to life Charles Dickens’ A Christmas Carol and O. Henry’s A Gift of the Magi performances available on select dates during Knott’s Merry Farm. One of the more surprising hits was the wonderful actors inside the Bird Cage Theater. Here you can see either Gift of the Magi or A Christmas Carol. Unfortunately we did not have time to see both so we opted for the classic we both know and love. Within a theme park setting, it’s extremely difficult to execute such a long play. But the company perfectly adapted the play given the circumstances. We were thoroughly impressed with the performances and execution. 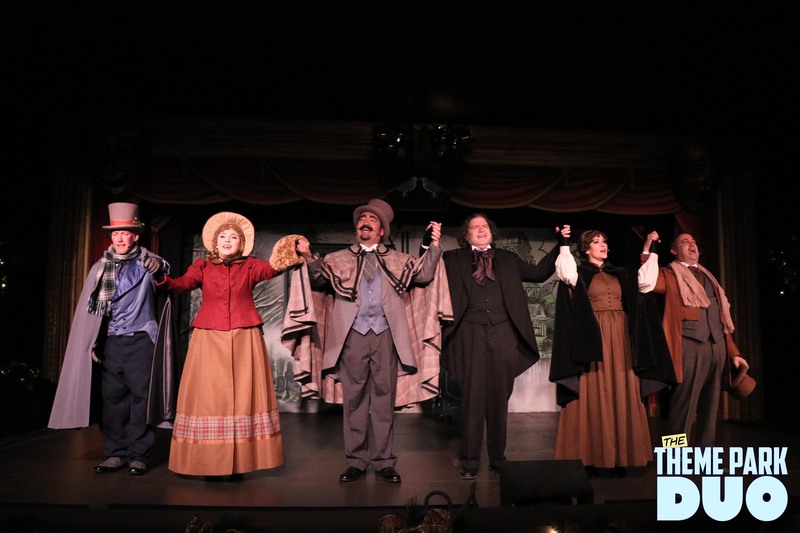 Given the fact that there really wasn’t much to work with on stage, the actors did a wonderful job building a world while allowing the guests’ imaginations to fill in the blanks. 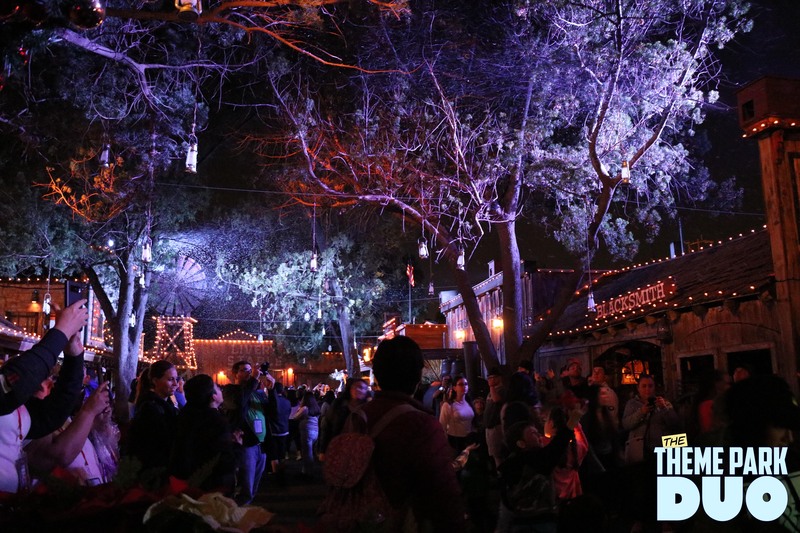 At the recently added Calico Park, the joyous night time tree lighting tradition takes place. 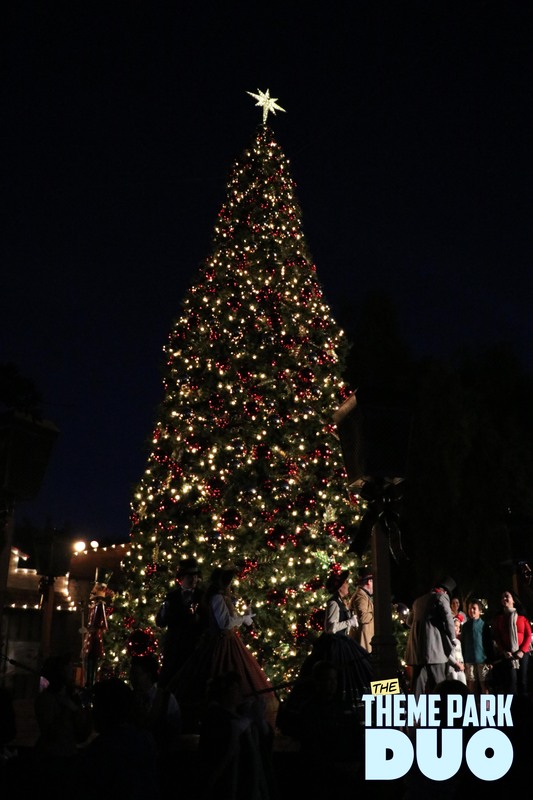 This all-new Calico Tree lighting Ceremony features the Calico Bell Choir and the Citizens of Calico as they join together around the tree for an illuminating Christmas celebration filled with, music, laughter and happiness. 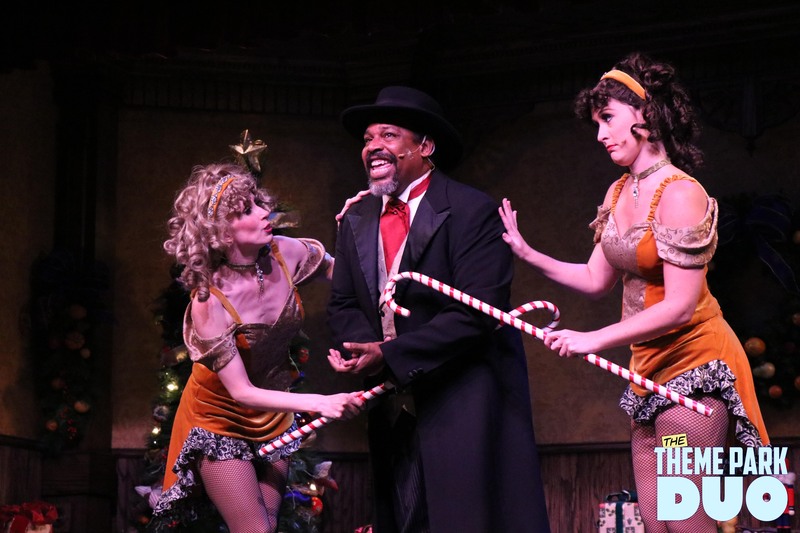 Tis the season to be jolly, so gather round the electrifying Christmas tree and experience the colorful lights come alive when Dr. Carter tests his newest electrical Christmas invention in Ghost Town. The Calico Tree Lighting Ceremony is a wonderful added piece of entertainment during the night. 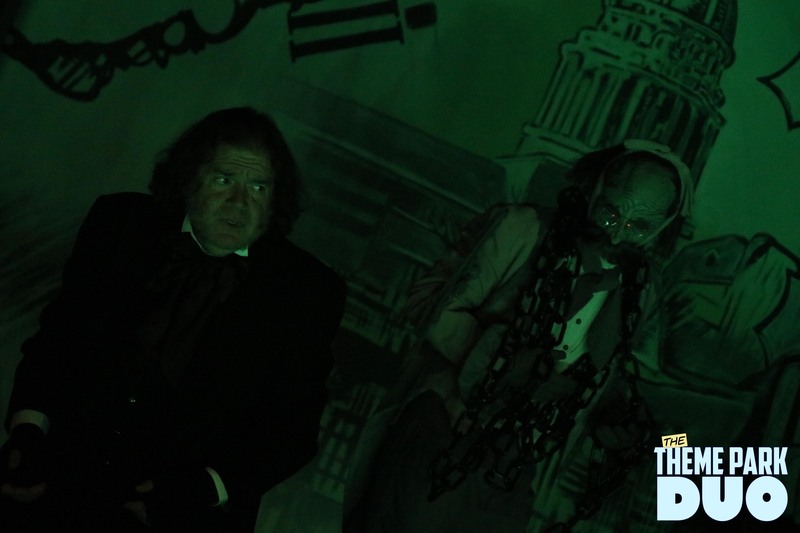 Also if you happen to have seen the Saloon show or either show in the Bird Cage Theater, you would recognize some familiar faces. 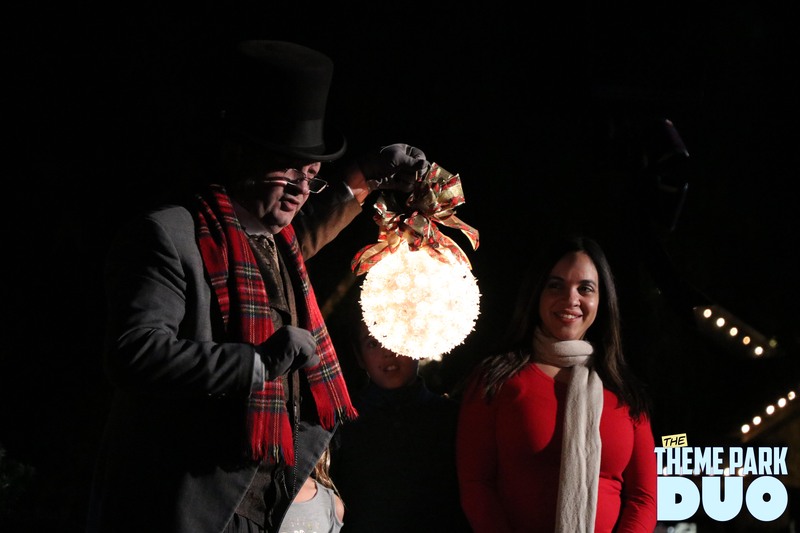 The Mayor of Calico chooses a member from the audience to open a present from the tree and it happens to be the light we need to light the rest of the tree. It is heart warming, fun and simple. Nothing over the top needed. Cameo Kate and Dakota Dan invite you to their musical turn of the century holiday celebration. 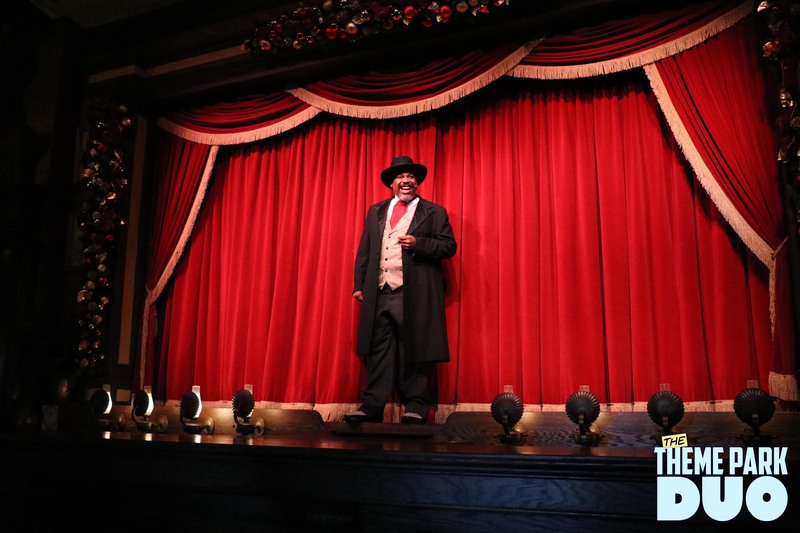 Head into the Calico Saloon, grab a boysenberry beer or sarsaparilla and watch a classical Old West revue show. Get ready for plenty of laughs and audience interaction in this toe-tapping, knee-slapping journey. The Calico Saloon show is pretty much the same as last year. But you wont find us complaining. The crew has all the comedic beats down! The whole crowd was laughing and singing along to some catchy Holiday tunes. If you find yourself needing a break from shopping in the Crafts Village, buy a beer/soda, pull up a chair and enjoy the show! 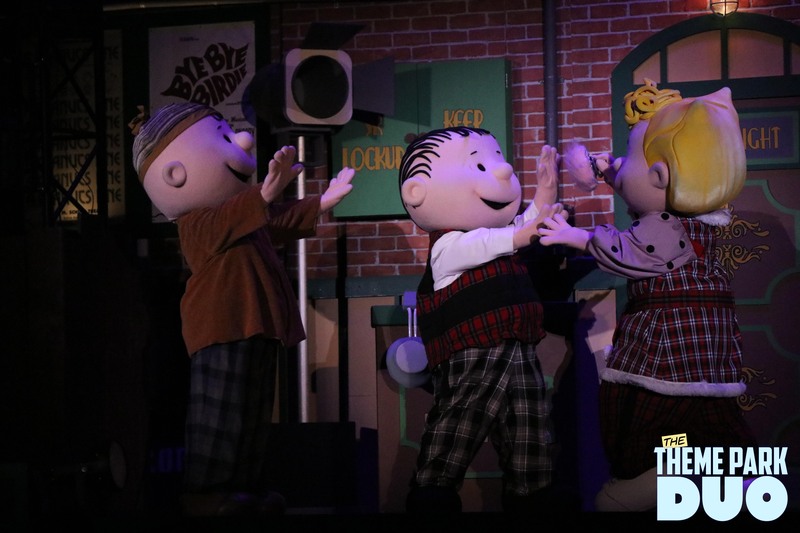 Come watch the Peanuts Gang in “It’s The Merriest Christmas Show Ever, Charlie Brown” at the Calico Mine Stage. 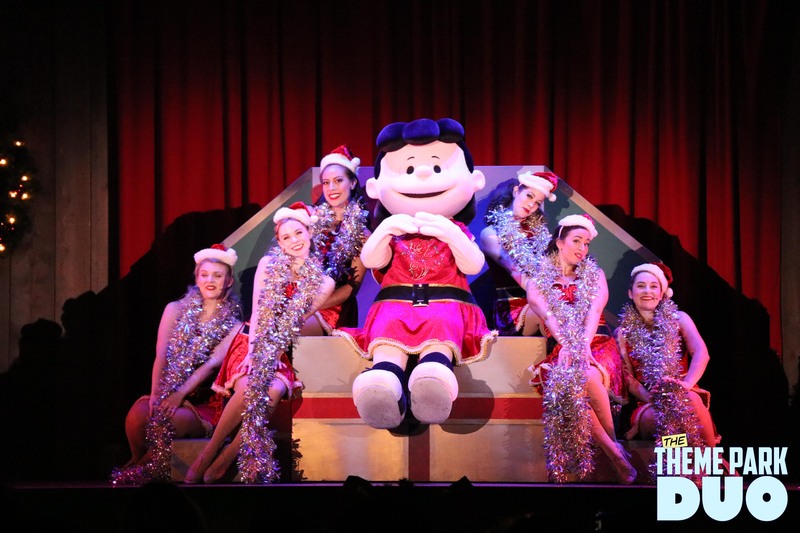 The Peanuts gang is at it again, this holiday season they have put on the greatest Christmas pageant ever with Charlie Brown directing, of course. Charlie’s one wish is to spend the holidays with his family, especially with Snoopy, who is visiting his family around the world. Will Snoopy make it home in time for Christmas? 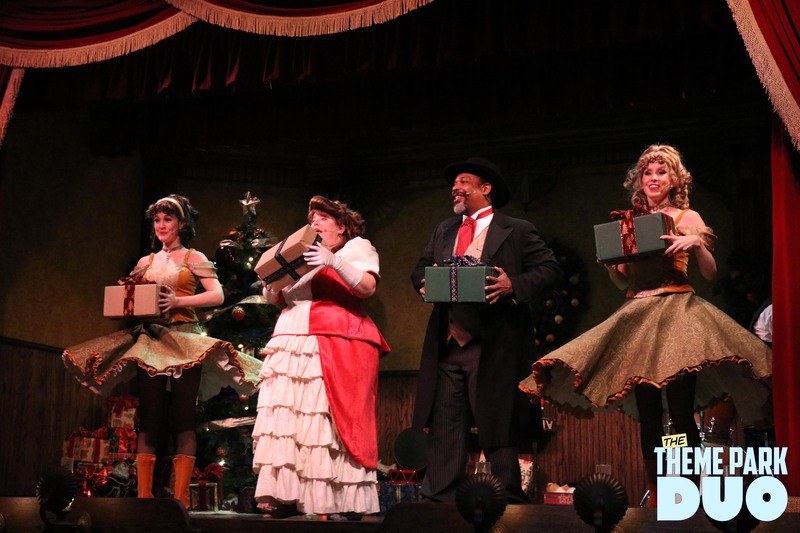 Join Charlie and the gang for a charming Christmas show as they perform traditional upbeat holiday classics and spread Christmas cheer. Find out if Snoopy returns home in time for a magical and festive holiday season to celebrate Christmas with Charlie, Sally and the rest of the Peanuts. Our personal favorite of the entire night, The Merriest Christmas Show Ever (*MCSE) was filled with classic Peanuts humor, wonderful dancing and music. Growing up watching Peanuts, this show really brought back feelings of being a child, sitting with the family and enjoying a moment together. I think this must be why it was such a favorite of ours. On top of that, who doesn’t love Snoopy! Just a tip, if you plan on seeing this show and want a seat, make sure you head over to the Calico Mine Stage way ahead of time in order to grab a seat. We have seen so many people get their 2 hours ahead of time to see the show. Where are we? Disneyland? If you don’t mind standing in the back, then just show up 30 minutes before and you are good to go. 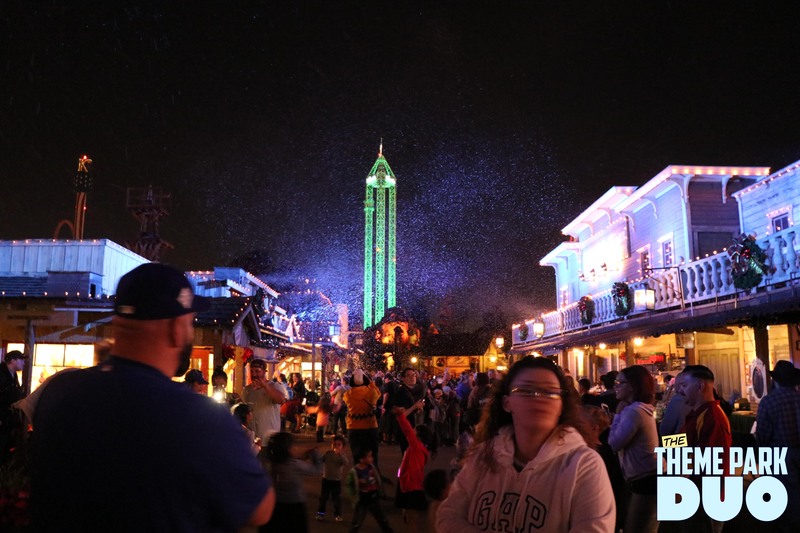 Every night during Merry Farm, when the sun sets on the Farm, the buildings and paths in Ghost Town’s Main Street and School House Road are filled with glow and snow! Thousands of sparkling lights dance to the beat of Christmas music while snow gently falls in this spectacular one-of-a-kind moment. As a Southern Californian, born and raised, snow isn’t something I see everyday. So I take my opportunities when I get them. 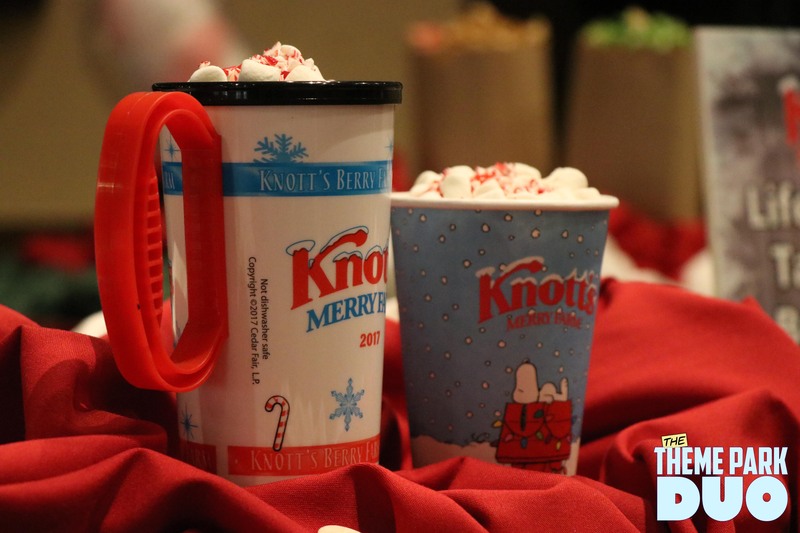 Last year, Nikki and I did not get to see the snow at Knott’s and were rather disappointed. We made it a priority to see it this year and we were not let down. 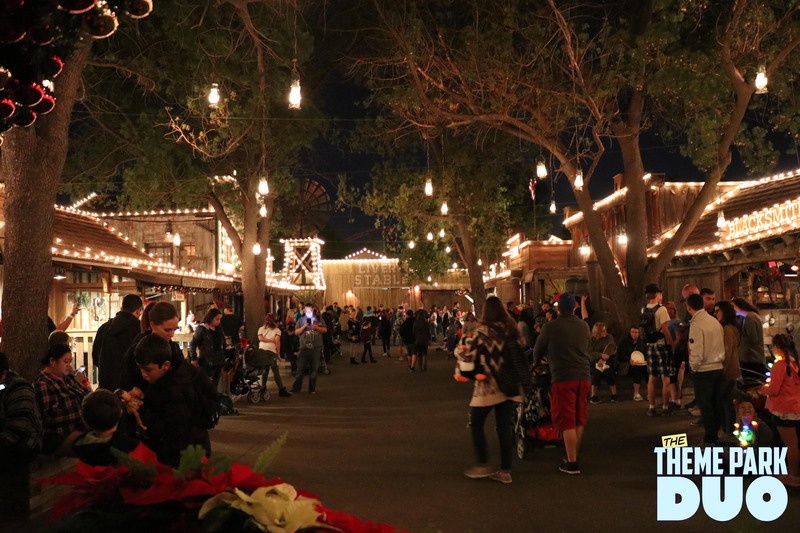 Overall, Merry Farm is a wonderful alternative to the expensive days at Disneyland and a major competitor! In our humble opinion, there is so much more value (dollar for dollar) here at Knott’s than most theme parks. Especially with it’s numerous pieces of entertainment which really sets them apart. 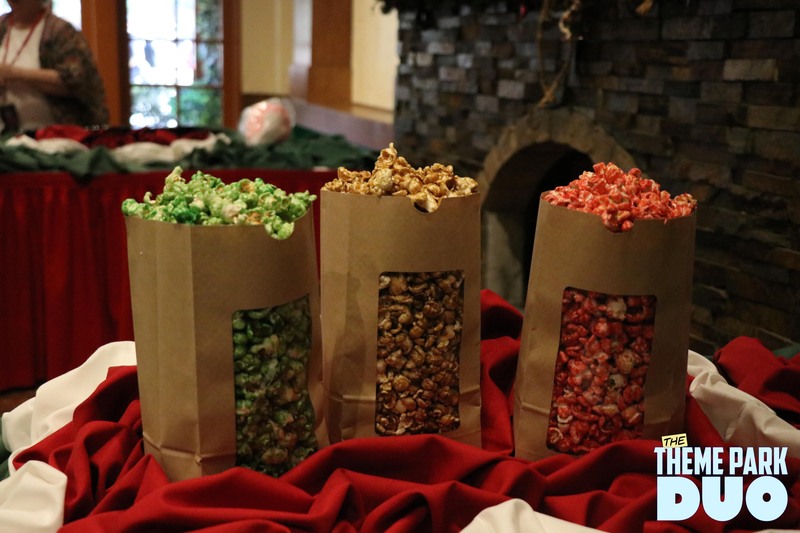 If you are craving holiday fun and wonderful treats, Knott’s Merry Farm is the place to go! 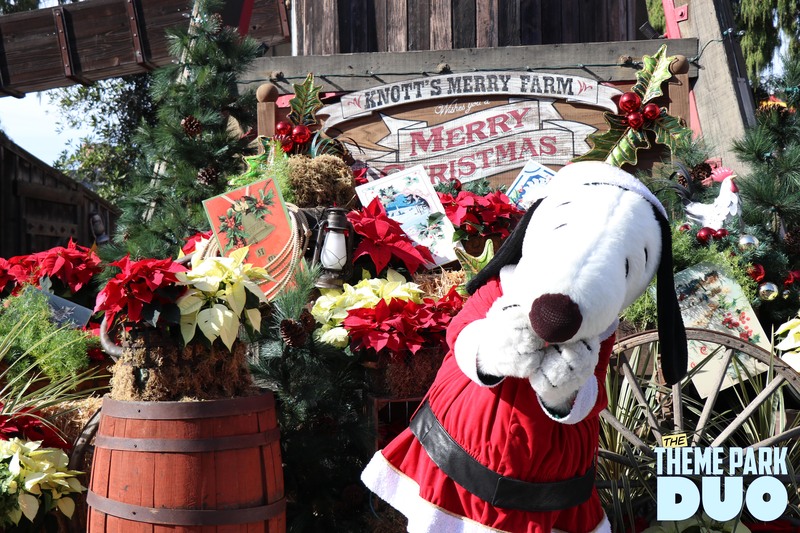 Knott’s Merry Farm runs November 17th – November 1st. 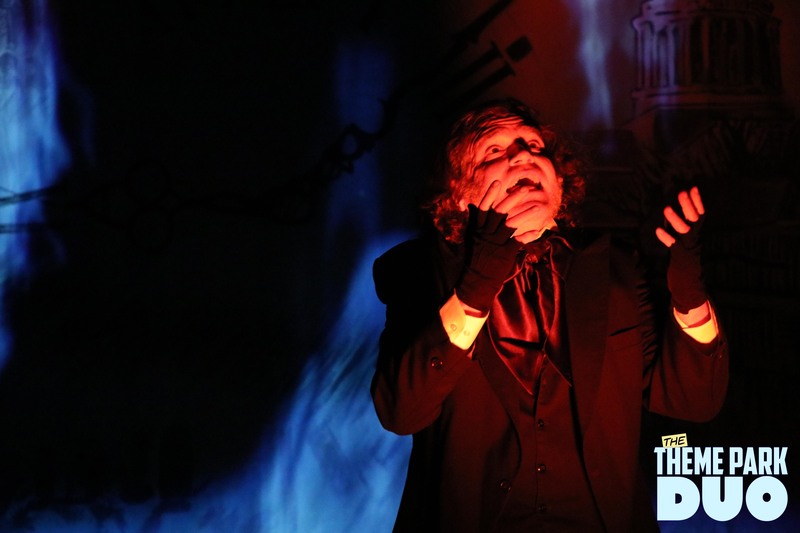 Head on over to Knotts.com to buy your tickets, or purchase a season pass for 2018 with ZERO black out dates! If you do so, you get one free visit during 2017! Boy, does that look fun. Maybe next year.